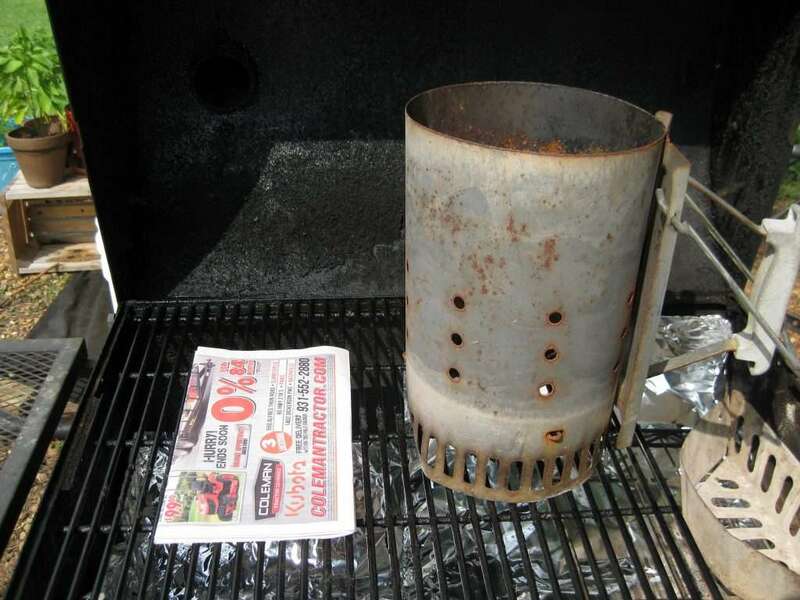 It is pretty easy to use the Weber chimney charcoal starter, but there are people who are not familiar with it. Reason for me to write how to use the Weber chimney starter the way I have been doing it for many years. 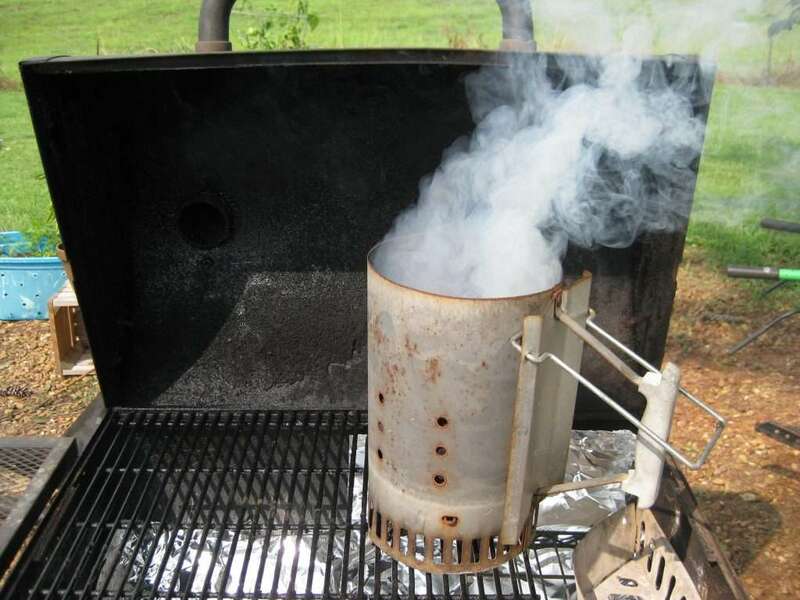 There are just a few things you need to get your charcoal started with the Chimney starter. There is a roster down in the chimney starter. 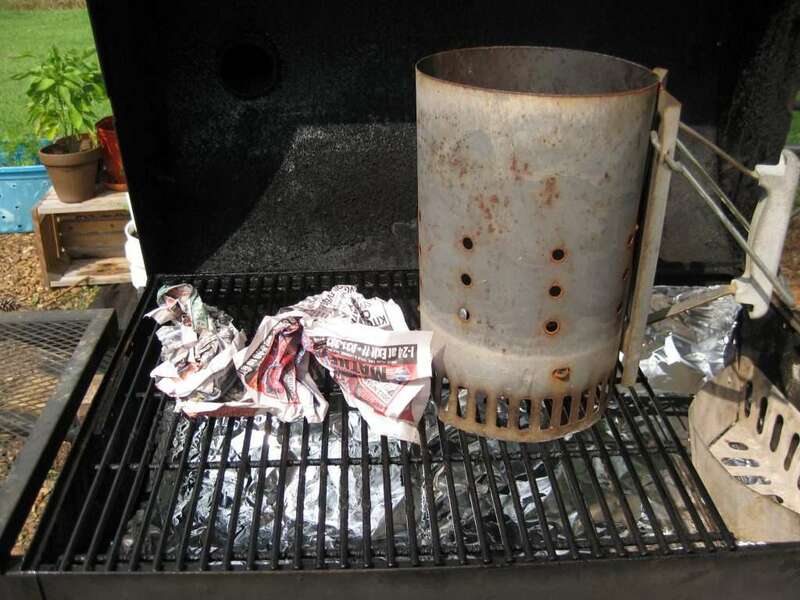 You put charcoal at the top and news paper at the bottom. That is all you have to do to get your charcoal ready to use on your grill. 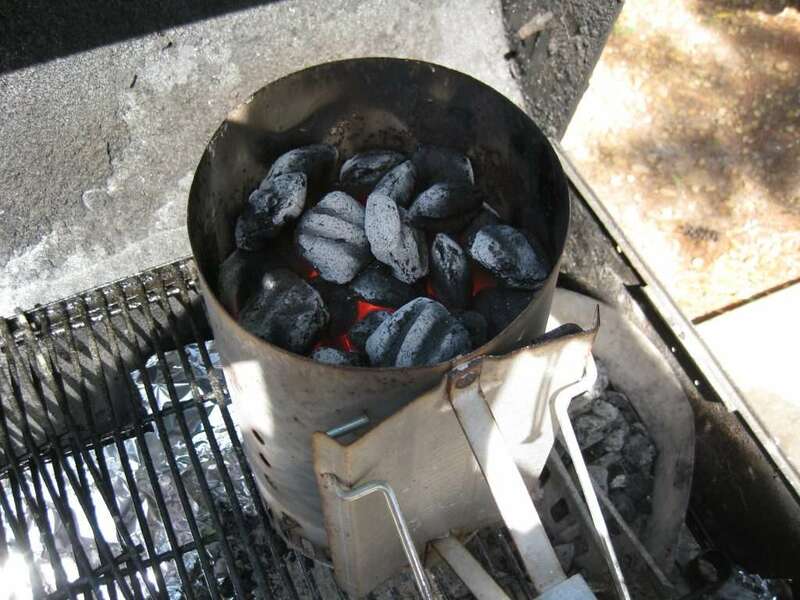 This is the Weber Chimney in action and getting my charcoal ready in about 10 minutes. This is basically the whole process to get your charcoal started with the Weber charcoal chimney. It also works on other chimney’s of course but in my experience the Weber is the best charcoal starter. Reason I claim this is that I have used other brands but they did not last to long, and my Weber chimney last me now for many years although it always sits outside. I don’ know if you have noticed my Weber char basket fuel holder on the right side of the pictures, but I use them a lot. Reason I use them is that I like to set my grill up for 2 zone cooking like I describe in this article. By using this method you have a hot and cooler section on your grill and this will give you a lot more options to grill than just direct under your meat. By using this method you can also shut the hood of your grill and use your air vents to control the temperature for low and slow cooking. I hope this small explanation on how to use the Weber Chimney starter showed how easy it is to use it and how fast your charcoal will be ready to use.